The famous luxury line of the wonderful Japanese automaker Honda, Acuras are some of the most reliable and luxurious rides on the road today. From their sleek exteriors to their powerful engines all the way to their comfortable and luxurious cabin spaces, Acuras are some of the finest cars on the road today. Jersey City Car Leasing is proud to offer these fantastic cars for some of the best luxury auto leasing deals that you could ever hope of or even dream of to all of our valued NJ (and even surrounding area) customers – today! From the compact but quick ILX to the spacious luxury flagship RLX sedan, and even up through their line of wonderful and comfortable sedans such as the RDX or the MDX, we have all of the Acura autos that our customers (including you!) crave, and want to have in their garages and driveways right here in New Jersey. We know that our folks love to get behind the wheels of these great cars, so we try and make the process as easy as possible for them by making it all quite simple – you will not find a better Acura leasing deal anywhere, bar none. We are so confident in this that we welcome any and all customers to get in touch with us immediately so that we can walk them through exactly what the Jersey City Car Leasing difference is, and why we are so uniquely positioned to offer the best auto leasing deals in the area. Give us a call right away at 201-649-5111, or visit us right here on the web for more information! An Acura is well known for being the absolute perfect blend of comfort and luxury. 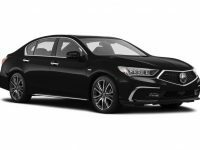 You will feel just right behind the wheel of one of those beautiful Japanese machines, whether you are parked next to your kid’s game, or whether you are driving to pick up the client from the airport before the big meeting. 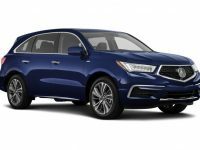 The Acura can do it all, and its luxury is desired by so many of our customers. As a result, we are thrilled to say that we can offer them the best auto leasing deals on the market today on all models of this wonderful line. 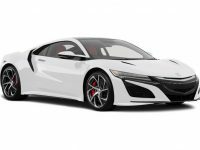 Thanks to the online inventory management system that we have helped to revolutionize, we can put our buyers and leasers in contact with Acura dealers all over the area. 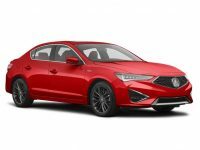 We can consolidate the inventory of every Acura dealer into an online showroom, allowing you, the customer, to browse this showroom and find the best Acura car lease deals that you could ever have imagined possible. We take great pride in this new system, and have heard nothing but positive things from our customers about how this creative and clever system has given them the best chance at finding the auto leasing deals on all new Acuras, from sedans all the way to SUVs. Give us a call today for more information, or check us out on the web to find out what we are all about – we are glad that you have found us, you will not regret it!